The first Windows Phone 8 devices have yet to be unveiled, but that’s about to change on September 5th. 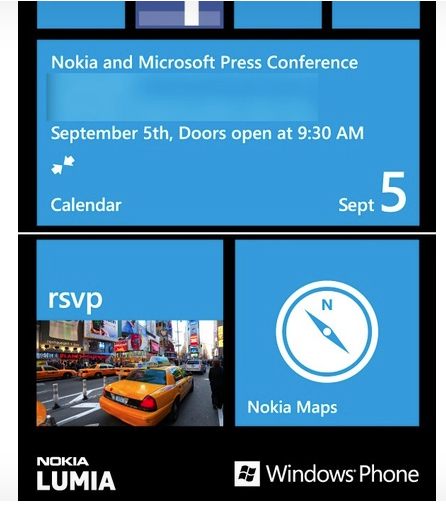 Invitations have just been sent out for a Windows Phone 8 press event, which will take place in NYC on September 5th, doors opening at 9:30 A.M. The event will be hosted by both Microsoft and Nokia, so we could safely presume that we’ll see devices from Nokia. Based upon the joint press conference, it wouldn’t seem likely that other manufacturers will have any announcements. We’re based in NY, so if anyone from Microsoft wants to send us an invite, we’ll cover it live.